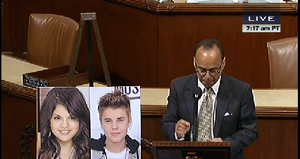 LatinaLista — Illinois Rep. Luis Gutierrez quizzes his colleagues to figure out who is an immigrant among some famous faces he showcases during his morning remarks on the House floor on June 27, 2012. 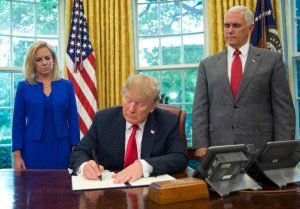 This week the U.S. Supreme Court declared the immigration policy of the state of Arizona, a policy that Mitt Romney has called a “model for America,” to be largely unconstitutional. I applaud the court for stating that immigration enforcement is a federal responsibility. The “show me your papers” law allows police to demand that individuals prove they are legally in this country. 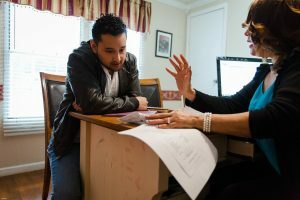 This law is not just a problem for people who are undocumented. It is not just a problem for immigrants. It is not just a problem for anyone who “looks” like they might have come to America from somewhere else. It’s a problem for every American who cares about freedom. It’s a problem for all of us who believe no person should be treated as a suspect based on how they look, or their accent, or the spelling of their name. 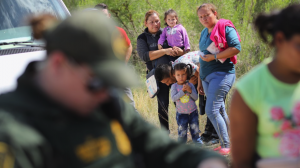 In Arizona today, all that stands between you and a legal nightmare is whether a police officer feels there is a “reasonable suspicion” to inquire about your country of origin. Yet, Arizona politicians will tell you with a straight face that they can apply this law without using racial profiling. Without assuming that someone named Gutierrez isn’t less likely to be in this country legally than someone named Smith. Maybe with practice, we can become like Arizona politicians and police officers who are able to telepathically determine who to accuse of not belonging in America. Here are two journalists we know well. Geraldo Rivera and Ted Koppel. At a traffic stop, to our untrained eye, we might guess that Geraldo Rivera, for some reason that clearly has nothing to do with the way he looks, might not be from America. But Geraldo Rivera’s mustache wouldn’t confuse an Arizona law enforcement professional. They would know Geraldo was born in Brooklyn, New York, and Ted Koppel was born in Lancashire, England, where his parents moved to flee from Hitler and Nazi Germany. Round two – for our young fans of C-Span — is Justin Bieber and Selena Gomez. These young people have overcome their very different national origins and became apparently a happy couple. I’m sure Justin helped Ms. Gomez learn all about American customs and feel more at home in her adopted country. Oh, I’m sorry. Because I’m not a trained Arizona official, I somehow got that backwards. Actually, Ms. Gomez, of Texas, has helped Mr. Bieber, of Canada, learn all about his adopted country. Justin – when you perform in Phoenix – bring your papers. The next round shows just how tricky Arizona’s game of “pick out the immigrant” is to play. Here are two basketball superstars. Neither one is Latino. That’s confusing. You have to dig deeper to figure out who isn’t a real American. So let’s consider their names. Jeremy Lin and Tony Parker. Clearly, “Lin” sounds kind of foreign, while Tony Parker sounds pretty American to me. But I’m not an Arizona police officer, who would know that Jeremy Lin was born in Los Angeles, and Tony Parker was born in Belgium. And finally, here’s one just in case the U.S. Supreme Court ever wants to meet in Phoenix to consider its ruling about Arizona’s “show me your papers” law. The anglo male? Or the Latina? Neither is an immigrant, but Antonin Scalia’s father came through Ellis Island from Italy. And Sonia Sotomayor is a proud Puerto Rican with generations of U.S. citizen ancestors. We could play this game all day. But the point is simple. The idea that any government official can determine who belongs in America and who doesn’t simply by looking at them – is completely ridiculous. And unfair. And Un-American. And yet, this absurdity is the law in Arizona. The Court signaled that it will be watching this law closely, and it should. Because we count on the court to protect our liberties, not restrict them. And because in America, people should always be judged by their actions. No person – not one – should be judged by the way they look or the sound of their voice or the pronunciation of their last name. Not in Arizona – not anywhere – not ever.